SHAFAQNA – It is narrated from Imam Ridha/Reza (AS) who said: God bless the one who revives our command (traditions of Ahlul Bait (AS)). A person asked: How your commands are revived? Imam (AS) replied: Learn our instructions, sciences and culture and teach them to others. Because if people hear and learn about the benefits of our sayings, will follow Ahlul Bait (AS) . 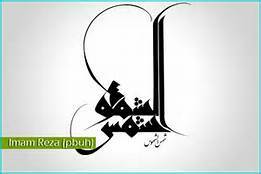 https://en.shafaqna.com/wp-content/uploads/2019/04/imam-reza2.jpg 174 261 hamrang https://en.shafaqna.com/wp-content/uploads/2018/10/new-logo-s-en-fine.png hamrang2019-04-13 09:54:442019-04-13 09:54:44How to revive the traditions of Ahlul Bait (AS)?